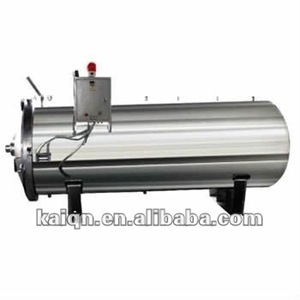 (high pressre homogenizer, sterilizer machine /pot for milk,UHT sterilization machine ,pump, valves and so on. 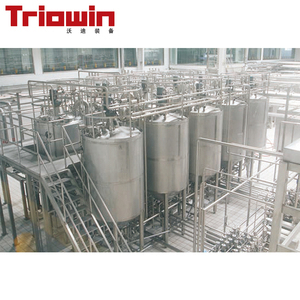 Our products are widely used in the fields of food, pharmaceuticals, dairy, beer, beverage and chemical industry. All the products are strictly according to international standards (such as ISO, DIN, IDF, SMS and 3A) etc. Milk processing line This Milk processing line produce several types of market milk products, i.e. 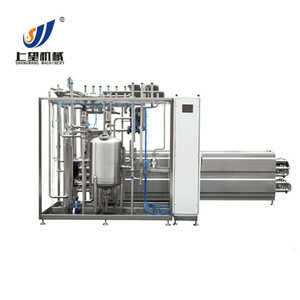 This Milk processing line raw milk can be fresh milk or powder milk , the procedure method can be pasteurization or HTST pasteurizer or UHT processing. End product package of this Milk processing line can be plastic pouches, plastic cups, plastic bottles, glass bottles, roof top box, pre-pak pouches , Tetra pak etc . Shanghai Jiucan Industrial Co., Ltd. 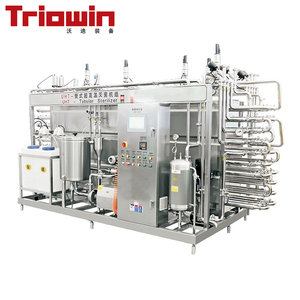 The uht sterilizer is widely used in the processing of milk, juice, tea drink, dairy drink, tomato paste, flavoring, beer, ice cream, egg products, solid powder product etc. 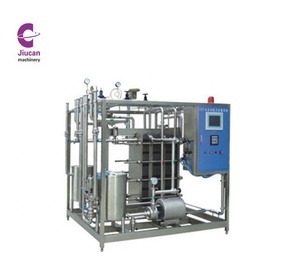 Pasteurization machine is suitable for fresh milk, fruit juice beverage, wine and other heat-sensitive liquid heating, sterilization, heat preservation and cooling process. The machine is usually used to pasteurize materials (including raw milk, milk beverage, fruit juice, tea, juice and other kinds of drinks, all kinds of wine and ice cream, etc. Shanghai Jianyi Machinery Co., Ltd.
Zhejiang Jinben Machinery Manufacturing Co., Ltd.
4. Q: Can I have my own customized product9 A: Yes, your customized requirements for color, logo, design, mark, etc. are very 5. Q: Do you have quality control9 A: Yes, we attach great performance to quality control. 6. Q: How about the warranty control9 A: One year warranty for the machineries since sold. 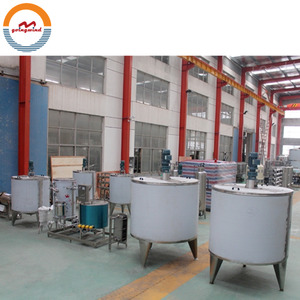 Shanghai Victoria Machinery Manufacture Co., Ltd.
Shanghai Jump Automatic Equipments Co., Ltd.
Heat treatment required to kill undesirable microorganisms and must ensure that pathogens such products are not damaged. Homogeneous object or to split the fat globules of fat globules in milk in a finely distributed state, and prevent the formation of cream layer. We can provide the entire production line processing 500KG-1500 tons of raw fruit daily according to the customers. Heat perservation ues the poiyurethane integral foaming technology. American COPELAND compressor guarantee the excellent refrigerated effect. High refrigerated efficiency reduce energy consumption and use-cost. UHT Milk Processing Machine Introduction: This production line adopts the electric heating mode, it can process 300 ~ 2000 kilograms of milk each time. 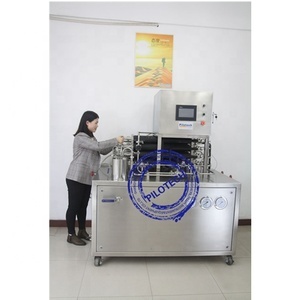 With standardized tube-in-tube type heat sterilization equipment ,it sterilize throughly and makes the equipment very convenient to clean. High degree of automation enables t he whole line working automatically and continously. Zhejiang Xuxiang Machinery Technolgy Co., Ltd.
50% in advance ,the rest before shipment. Packing ; wrap with soft plastic material . Warranty period : One year . 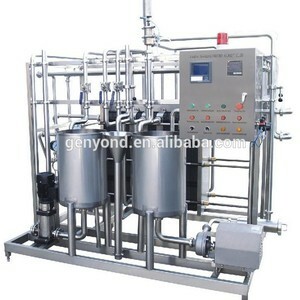 Alibaba.com offers 1,153 uht milk equipment products. About 33% of these are dairy processing machines, 4% are filling machines, and 1% are milking machines. 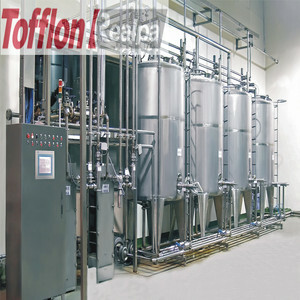 A wide variety of uht milk equipment options are available to you, such as processing line, filling machine. You can also choose from case, barrel, and bottles. As well as from beverage, chemical, and food. And whether uht milk equipment is electric, mechanical, or pneumatic. There are 1,153 uht milk equipment suppliers, mainly located in Asia. The top supplying country is China (Mainland), which supply 100% of uht milk equipment respectively. Uht milk equipment products are most popular in Africa, Western Europe, and Domestic Market. You can ensure product safety by selecting from certified suppliers, including 368 with ISO9001, 198 with Other, and 5 with ISO13485 certification.